The shoulder patch of the 56th Field Artillery Command is symbolic of the unit and the mission the unit performs. The scarlet and yellow are colors used for field artillery. The blue represents the infantry support. The destructive power of the Pershing system and target capability are suggested by the red disc at the center. The upright missile signifies the readiness of the command. The lightning flashes refer to the ability of the missile team to act and strike quickly in the event of need. The 56th Field Artillery Command's mission in peacetime was to maintain its combat readiness. After the beginning of hostilities, the Command's mission was to be prepared to provide general support nuclear fires to the theater commander. After the INF treaty's entry into force, the Command revised its mission to include support of Soviet on site inspections and to retrograde the Pershing missile system out of the theater. The chain of command for the 56th FAC followed a duel chain. During peacetime, the Command fell under the United States Army, Europe, and the United States European Command. During periods of tension or in times of actual war, after the declaration of the appropriate alert measure, the operational command and control of the unit shifted to the NATO chain of command. In that case, the next higher headquarters for the 56th Field Artillery Command was the Allied Air Forces, Central Europe, AAFCE. In both peace and war, the Command reported to the highest levels of military authority in Europe. When the 56th Field Artillery Brigade became the 56th Field Artillery Command (Pershing) in January 1986, the Command was organized under a table of organization and equipment establishing its final form. The Command had a headquarters and headquarters battery, three Pershing firing battalions, an infantry battalion, a signal battalion, a forward support battalion, and an aviation company. The overall strength of the Command was 6000 soldiers, 108 Pershing missiles, and 1500 vehicles. The 56th FA Command began its compliance with the INF treaty as the treaty went into effect on 1 June 1988. Over the next three years, the Command systematically turned in equipment, reassigned soldiers, and shipped treaty items to destruction facilities. The following paragraphs detail the Command organization as it started its INF treaty compliance. The three Pershing firing battalions formed the nucleus of the Command. Each battalion was subdivided into a headquarters, headquarters and service battery, and four firing batteries. The battalion had 36 erector launchers with missiles authorized and 895 soldiers assigned to fully man the battalion. The Pershing battalion was commanded by a field artillery branch lieutenant colonel that had been trained in Pershing operations. Each Pershing battalion headquarters, headquarters and services battery provided the command and control assets for the battalion. The HHSB also provided logistic support, which included supply, maintenance, and personnel services. The HHSB had a field artillery captain in command of the approximately 185 soldiers and equipment assigned. The Pershing firing battery, responsible for nine Pershing II missiles, contained three firing platoons, an operations/communications platoon, a support platoon, and a battery headquarters. The operations/communications platoon provided the personnel and equipment needed to conduct missile operations and direct employment of communication assets. The support platoon managed the unit level automotive and missile maintenance assets and distributed the petroleum supplies to the battery. A field artillery branch major commanded the battery containing 178 soldiers and provided command and control. The platoon was the basic building block of Pershing. With appropriate authorization from NATO level, the three firing platoons assigned to each battery deploy, maintain, secure, and fire three Pershing missiles. The platoon had the personnel and equipment assets to transport and assemble the missiles, as well as maintain the system. A platoon control center controlled the missiles operations. The platoon had to rely on the battery for administration, supply, food, and other maintenance support. The Pershing platoon had a specially trained, Pershing qualified, field artillery captain as the platoon leader. He was responsible for the three Pershing systems and 41 field artillery crewman assigned. An infantry battalion was assigned to the Command to provide security for the Command. Infantryman assigned to Pershing had the challenging mission of defending the missile systems during deployment and in field locations. In order to defend against external threats to the Command, the 2nd Battalion, 4th Infantry regiment had special training in rear area combat operations. To provide the necessary security, the battalion was organized into a headquarters and headquarters platoon and three light infantry companies. The infantry battalion with its 888 soldiers was commanded by an infantry lieutenant colonel. Each light infantry company maintained a habitual relationship with a Pershing battalion. The infantry company had a company headquarters and four rifle platoons to provide the necessary security support to the Pershing battalion. The infantrymen were armed with M 60 machine guns, M 249 Squad Automatic Weapons, AT 4 anti weapons, M 16 rifles, and .45 caliber pistols. The new High Mobility Multi purpose Wheeled Vehicle, HMMWV, provided mobility and mounted firepower to the soldiers. An infantry captain commanded the 203 soldiers assigned to the infantry company. The overall communication links for the command and control of the 56th Field Artillery Command, was provided by the 38th Signal Battalion. Their unique and critical mission was to install, operate and maintain a communications system for the Pershing Command that operated all day, every day at a high rate of readiness. The 38th Signal Battalion fulfilled this mission for the Command through use of a headquarters and headquarters company, a command communications company, and three forward communications companies. The signal battalion had 909 soldiers assigned and was commanded by a signal lieutenant colonel. A command communications company provided signal communication support at the Pershing Command level. This support included maintaining radio nets at four locations during field operations. A signal corps captain commanded the 265 signal soldiers assigned to the unit. Each of the three forward communications companies was assigned to support a Pershing battalion both in garrison and after deployment. The forward communications companies were with their supported Pershing battalion. Each company was further subdivided into a headquarters platoon and three specialized communication platoons. A signal corps captain commanded the forward signal company, which was comprised of 180 soldiers. The 55th Support Battalion was responsible for missile, engineer, communications, and automotive maintenance. It also supplied food, conventional ammunition, major end items and repair parts to Command units. A headquarters and headquarters company, a maintenance and supply company, and three forward support maintenance companies made up the 55th Support Battalion. The 896 personnel assigned to the unit were commanded by an ordinance corps lieutenant colonel. The 4th N 9th FA and its supporting units were located in the Heilbronn community at three locations: Artillery and Badenerhof Kasernes and Camp Red Leg. The communications support was provided by C Company, 2nd N 4th Inf. secured the missile storage area at Camp Red Leg. Schwaebisch Gmuend had two kasernes: Hardt and Bismarck. The 2nd N 9th FA and A Co., 55th Spt N occupied Hardt Kaserne. The missile storage area for 2nd N 9th FA was at the old Mutlangen airfield, approximately three kilometers from Hardt Kaserne. The 56th Field Artillery Command headquarters with its headquarters battery operated out of Bismarck Kaserne. Companies A, D and Headquarters and Headquarters Company 38th Sig. N shared this pre World War II kaserne. The headquarters for 38th Sig. N as well as D Co. 38th Signal Battalion, and the communication support for 2nd N 9th FA, maintained garrison locations in Bismarck Kaserne. Pershing has been part of the Army inventory for over 27 years and in Europe since 1964. The evolution of the Pershing missile system and the 56th Field Artillery Command were so significantly intertwined that discussion of one without the other was almost impossible. The original Pershing missile was conceived in 1957 by the Advanced Ballistic Missile Agency. That agency's intent was to replace the aging ‘Old Reliable’ Redstone missile. The Redstone was a major technological advancement for its era, but was large, cumbersome and not especially mobile. It also needed special fuel handling techniques for its liquid propelled rocket motors. The ABMA wanted a design which was smaller than the Redstone but with greater range and increased reliability. The Pershing design moved quickly from the drawing board to the test range. The first launch of a Pershing missile occurred at Cape Canaveral, Florida, 25 Feb. 1960 just 22 months after the award of the Martin Marietta contract. Although this launch used only one stage of the system the missile traveled 30 miles down range into the Atlantic Test Range. In September, at Cape Canaveral, the Army fired both stages for the first time. By January 1962, Pershing missiles were launched to their full 400 mile range. The first tactical system was delivered to the Army in October 1962. At this time the Pershing missile system's mobility was dependent on the M 474 tracked vehicle, built on the chassis of an M 113 armored personnel carrier. The missile, without the warhead, was carried on an erector launcher mounted on the M 474, while another M 474 carrier trailed with the warhead. A programmer test station/power supply station was mounted on the third M 474. Finally, a tropospheric scatter radio terminal followed in the fourth M 474. The original Pershing system deployed in a tracked train arrangement. The Pershing land train became the integral part of the first Pershing battalion activated in March 1963, at Fort Sill, Oklahoma. The first Pershing battalion was the 2nd N 44th FA, commanded by Lt. Col. Patrick W. Powers. Their training on the system started nine months earlier, but the actual battalion activation took place in March 1963. The third battalion to deploy to Europe with the Pershing system was the 3rd N 84th FA. Like many other units, the 84th FA had a long history of activations and inactivations, but its incarnation as a Pershing battalion occurred on July 4, 1964. 3rd N 84th FA personnel went through several months of equipping and training at Ft. Sill in preparation for its deployment to Europe. The unit's advance elements departed for Europe in April 1965. The main body followed and arrived in May. The 3rd N 84th FA was assigned to the 56th Field Artillery Group and took up its quarters at Artillery Kaserne in Neckarsulm. The 3rd N 84th FA was inactivated and redesignated as 4th N 9th FA. In 1965 Pershing units assumed an additional role in support of the nuclear deterrence mission of NATO. The three units were given the mission of Quick Reaction Alert which required a portion of each unit to maintain the highest level of combat readiness and be prepared to fulfill its wartime mission in a short time. Because of the increased requirements of this mission, the Army began an upgrade of Pershing I. At the same time, the Army authorized an increase in the number of launchers in each battalion from four to 36. (Correction Steven T. Burns: 1964 there was 1 firing platoon per battery with 1 missile per platoon, i.e., 4 missiles per battalion. 1965 there were 2 firing platoons per battery with 1 missile per platoon, i.e., 8 missiles per battalion. 1966 there were 2 firing platoons per battery with 2 missiles per platoon, i.e., 16 missiles per battalion. In order to increase the system's ability to move, shoot, and communicate as part of the QRA mission, the Army awarded a contract in January 1966, to Martin Marietta Aerospace to explore development of new ground support equipment system for Pershing. This new ground support equipment became Pershing 1 A. The production contract was awarded to Martin Marietta in November 1967. The most noticeable change was the introduction of wheeled vehicles to replace the M 474 tracked vehicle. The wheeled erector launcher was faster in the missile erection procedure and more reliable than its tracked predecessor. The new Pershing 1 A also incorporated solid-state electronics which improved its self test and diagnostic capability. The majority of changes took place in the ground support equipment. The basic design of the 35 foot inertially guided missile did not change, nor was there any improvement on its 400 mile range. The Army acceptance of the new Pershing 1 A equipment was accomplished through a unique for the period logistic program called Operation Swap. In 1968 the exchange process began ­item for item, new for old in a direct contractor to troop unit delivery system which bypassed the traditional Army supply system. Battalion sized packages of equipment were formed at Cape Kennedy then shipped to Pershing units in the field. The swap of new equipment for old enabled each of the Pershing battalions to accomplish the changeover without a degradation in unit readiness. Operation Swap was completed by 1971. October 1, 1969, marked the effective implementation date of Pershing 1 A capability for 3rd N, 84th FA in Heilbronn. The unit began the necessary upgrade in personnel and equipment to increase the battalion's combat capability. On September 18, 1970, the 56th Field Artillery Group, which did not have a historical relationship with the new brigade, became the 56th Field Artillery Brigade. The new 56th FA Bde demonstrated the importance of the Pershing system and gave it a command and control capability with the creation of Headquarters and Headquarters Battery, 56th FA Bde. The new brigade commanded the 1st N 41st FA, 1st N 81st FA, and 3rd N 84th FA Pershing firing battalions. The 2nd N 4th Inf, which had been reactivated on July 21, 1969, and has a unit lineage dating back to the War of 1812, became part of the 56th FA Bde. The 2nd N 4th Inf provided the infantry defensive support the units required. The Headquarters and Headquarters Battery provided a command and control umbrella as well as additional communication and logistic support. A contract was awarded to Martin Marietta in 1974 for advanced development of a new terminal guidance system for Pershing. 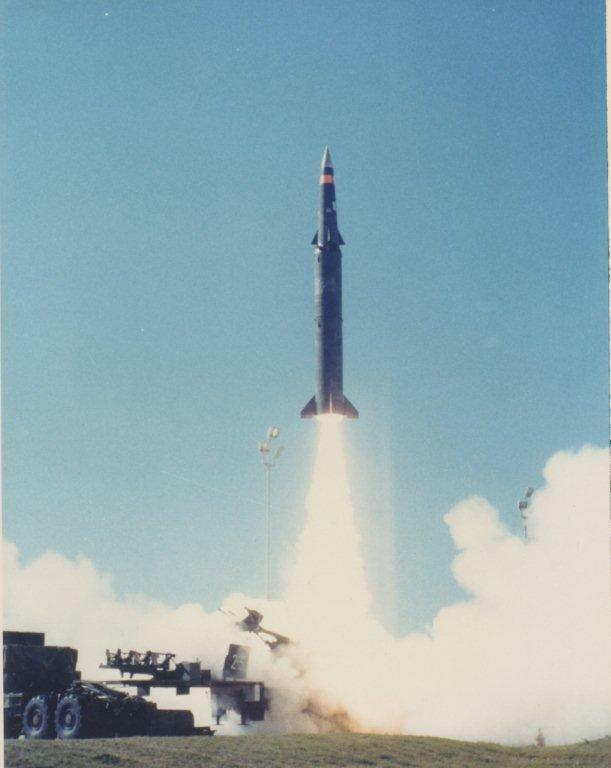 In 1977 five Pershing II missiles were successfully fired at White Sands Missile Range. In 1978 the North Atlantic Treaty Organization asked the United States to deploy intermediate range missiles to Europe to counter the deployment of Soviet intermediate range, mobile SS 20 nuclear missiles. Once again, the Pershing system would be upgraded with a long term effect on the 56th Field Artillery Brigade. In your article your mentioned Gen Sweet's group. In fact, in 1981, the Brigade IG Major David Kreger was charged by Gen Sydney Davis with the task of designing the TOE for the "new" PII missile brigade. The 55th Maintenance was being formed at that time by LTC Littlefield, but not yet activated. Major Kreger, 1LT Douglas Curtis (me) and SSGT Kenneth Heck with the assistance of a brand new Apple II computer spent several months interviewing every officer, NCO and Warrant in the Brigade, deciding what was necessary for the new unit. This TOE was presented to the USAEUR commander and headquarters, who forwarded it to the Pentagon without changes. Just thought you might like this bit of trivia. Thanks to dougcurtislaw@juno.com for this paragraph update. On 28 August 1982, Brig. Gen. William E. Sweet, then commander of the 56th Field Artillery Brigade, established a Pershing II fielding section within the brigade operations section. This section was charged with the compiling of information from various sources and developing the 56th FA Brigade Material Plan. Throughout the summer and fall of 1983, key political leaders met with the 56th FA Brigade staff to plan the strategy for the transatlantic move of the Pershing II. By 22 November 1983, the German Bundestag voted to deploy the Pershing II missile in the Federal Republic of Germany. A C 5A Galaxy cargo aircraft touched down at Ramstein Air Force Base at 10:22 p.m. on 22 November 1983. The Pershing II missiles arrived in the Brigade area on 27 November 1983. A ground convoy had moved the missiles from Ramstein AFB to Mutlangen Missile Storage Area. Then LTC Douglas J. Middleton initiated the training and readiness program that would successfully transition the 1st N 41st FA into the first operational Pershing II battalion. The training was intense. By December 15, the first operational Pershing II firing battery, A Btry 1st N 41st FA, commanded by MAJ Nolan Watson, was certified as combat ready. The older Pershing IA missiles were retrograded as the new Pershings entered service. All three battalions of the brigade had achieved operational status by December 1985. The only fatal Pershing II accident occurred on January 11, 1985 when three soldiers from 3rd N, 84th FA in Heilbronn were killed while conducting routine assembly operations with a Pershing missile stage. As a first stage motor was removed from its shipping container, a discharged of static electricity within the rocket motor propellant caused the motor to ignite. After a full investigation of the accident, actions were taken to prevent a recurrence. Theme actions included the addition of dissipative paint on the missile stages, rubber pads on the shipping containers and erector launchers, and improvements in the grounding system. On 17 January 1986, the 56th FA Brigade became the 56th Field Artillery Command (Pershing). During the activation ceremony, Brig. Gen. Raymond E. Haddock, officially retired the colors of the 56th FA Bde and unfurled the 56th FA CMD colors. The transition from brigade to command was more than a name change. It recognized the increased capabilities of the Pershing II system and implemented an organizational structure to capitalize on theme capabilities. The command structure authorized a signal battalion, the 38th Signal Battalion, to meet the communication requirements of the new command. The old 55th Maintenance Battalion became the 55th Support Battalion to reflect the additional logistic responsibilities provided by the unit. The aviation detachment became the 193rd Aviation Company, under the new command structure. On the same date the artillery battalions became affiliated with the 9th Field Artillery Regiment as part of the overall Army Regimental Affiliation Program. The battalion colors for the 1st N 41st FA; 1st N 81st FA and 3rd N 84th FA were retired. The new colors for the 2nd, 1st and 4th Field Artillery regiment were uncased. The 3rd N 9th FA was activated at Ft. Sill, OK. The honorary regimental commander was Maj. Gen. Richard D. Boyle (retired), a former commander of the 56th FA Bde. Recognition of the role of the Pershing Command soldiers and unit activities during the fielding of Pershing II took place on July 1, 1987. During a special ceremony, the 56th Field Artillery Command received the Army Superior Unit Award for outstanding meritorious service of a difficult and challenging mission during peacetime. The command's efforts in fielding the Pershing II system resulted in a stronger NATO alliance and demonstrated the resolve of the United States and its allies in support of their mutual defense. With the signing of the Intermediate Nuclear Forces Agreement on December 8, 1987, and its subsequent ratification and implementation, the 56th FA Cmd began the compliance actions required by the treaty. The Command had accomplished its mission of maintaining its peacetime combat readiness and supported the overall objectives of the 1987 Twin Track Agreement. With its objectives accomplished, the Command continued to maintain its readiness level until removed from tactical mission status on 1 Oct 90. The Command still had a mission of retrograding its missiles and hosting Soviet On Site Inspection Teams. On May 27, 1988, the U.S. congress ratified the Intermediate range Nuclear Forces treaty. This was the first ever treaty that required the U.S. and the Soviet Union to eliminate all of their ground launched ballistic and cruise missile systems, an entire class of weapons, with a range capability between 500 and 5500 kilometers. The treaty also gave both sides the right to carry out verification measures to monitor compliance with the treaty. On June 1, 1988 the provisions of the INF treaty went into effect. This date is commonly known as the "Treaty In Force" date. During the first 30 days of the INF treaty, the 56th Field Artillery Command counted and verified every piece of Pershing equipment in accordance with the Memorandum of Understanding portion of the INF Treaty. During July 1988 the Command hosted its first Soviet Inspection Team visit. The nine man Soviet team visited the Mutlangen Missile Storage Area located in Schwaebisch Gmuend, Germany on July 5, 1988. The team verified the number of treaty items. Other such inspections were conducted in Heilbronn and Neu Ulm during the baseline inspection period of July and August 1988. The next major step towards INF compliance happened September 1988. On September 1. 1988, B Btry 4th N 9th FA moved its nine Pershing missiles from Camp Redleg to a staging area for shipment back to the U.S. This was the first movement day permitted by the INF treaty after the initial baseline inspection period. 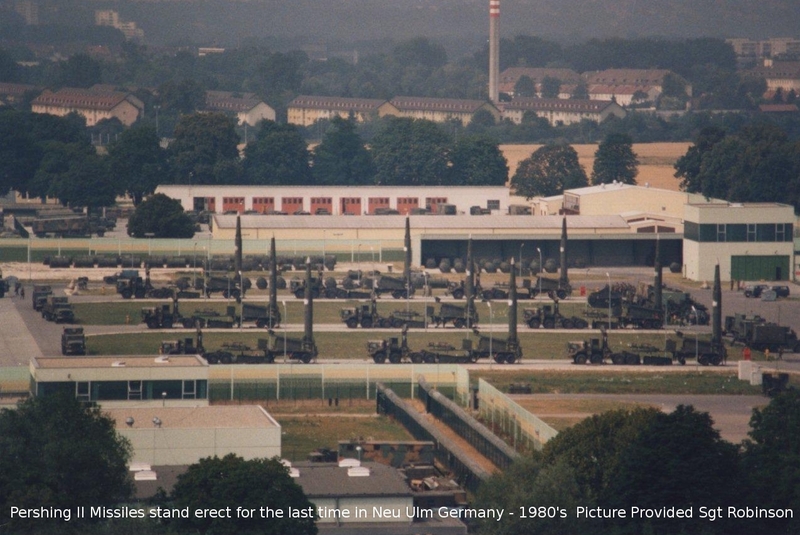 The missiles departed Ramstein Air Base on September 12, 1988 en route to the U.S. The battery inactivated on September 30, 1988. D Btry 2nd N 9th FA in Schwaebisch Gmuend shipped their nine Pershing II missiles in mid November back to the U.S. for destruction. Delta Btry. was inactivated on December 30, 1988, in a ceremony at the Mutlangen Missile Storage Area. In Neu Ulm, A Btry 1st N9th FA sent their nine missiles in mid December to the U.S. for destruction. Its inactivation ceremony took place at Wiley Barracks on January 31, 1989. Each Pershing task force systematically retrograded their remaining missiles. Concurrently the entire command turned in all its vehicles, equipment and reassigned soldiers. Each Pershing firing battalion transferred 212 treaty limited items, 440 Pershing II peculiar line items, 15,251 common items of equipment and 1,521 soldiers. Since April 1990, the Command has turned in nearly 1,500 vehicles and 83,000 different lines of equipment worth more than $985 million. Over 6,000 soldiers have been reassigned. On August 10, 1990 the 56th FA Cmd. conducted the inactivation ceremony of Task Force 4 9. Lt. Col. Frank Varsolona surrender the battalion colors to Maj. Gen. Roger K. Bean in a ceremony at Camp Redleg/Waldheide Missile Storage Area. Similarly, Task Force 2 9, commanded by Lt. Col. Thomas Bowden inactivated on February 7, 1991 at Mutlangen Missile Storage Area. The 56th FA Cmd commanded by Maj. Gen. Roger K. Bean, Task Force 1 9, commanded by Lt. Col. Stephen Seay, 2nd N 4th INF, commanded by Lt. Col. Clifton Ripperger, 38th Sig. 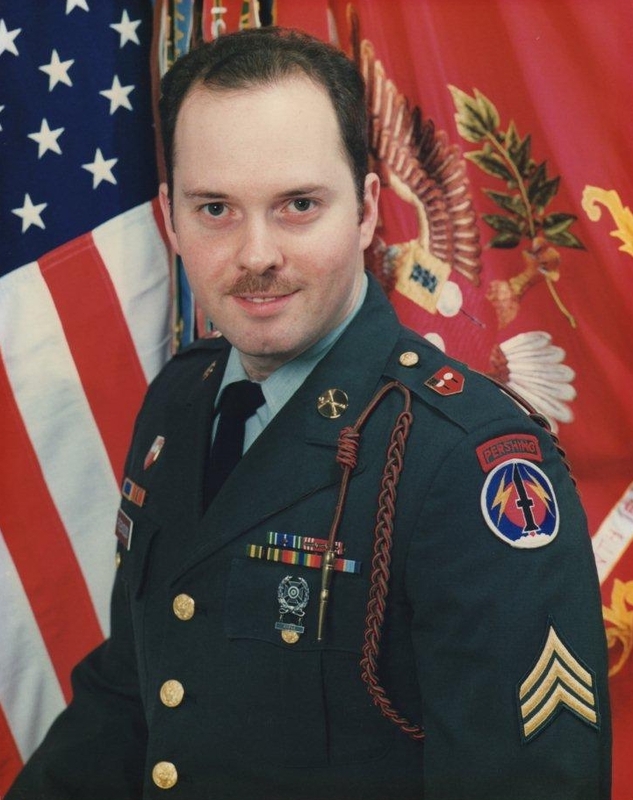 N, commanded by Lt. Col. John Finigan and 55th Spt N, commanded by Lt. Col. Greg Virgil inactivated May 31, 1991. The colors for all units will be returned to its regimental home station in Washington, D.C.
Pershing II is a ground mobile, surface to surface, nuclear system. It is a solid propellant missile with ground support equipment mounted on wheeled vehicles. 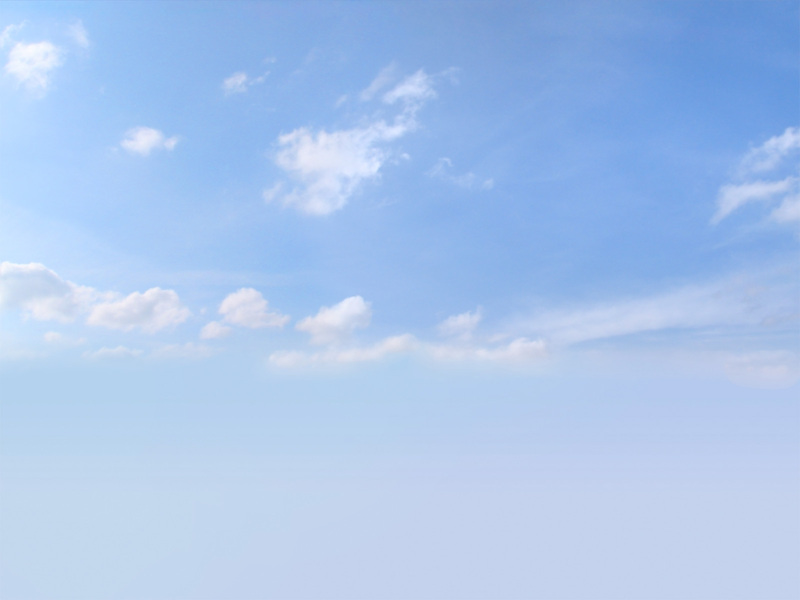 The missile may be launched quickly and in an effective weapon against a broad spectrum of targets. The average unit cost of a Pershing II missile is $3.8 million. This price includes the hardware and its portion of support, which includes engineering, production planning, quality control, etc. The overall Pershing II program costs a total of $2.459 billion. This includes a $692.4 million development cost. Training costs, soldiers' salaries, etc. are not included in this overall cost. The Pershing II missile, with the normal configuration of first and second stage propulsion sections and the reentry vehicle, weighs more than 16,000 pounds. It is about 35 feet long and 40 inches in diameter. It has a range of 1,800 kilometers. An inertial guidance system steers the missile and provides outstanding accuracy obtained by Pershing II. During the terminal phase, a radar/correlation guidance system takes over and guides the re entry vehicle to its target with exceptional accuracy. Pershing II missiles are shipped and stored in five major pieces. These pieces include the first and second propulsion stages, the guidance section, a warhead section, and a radar section. The missile is assembled on an erector launcher by joining the five sections. It can be transported assembled on the erector launcher and be prepared to fire in minutes.